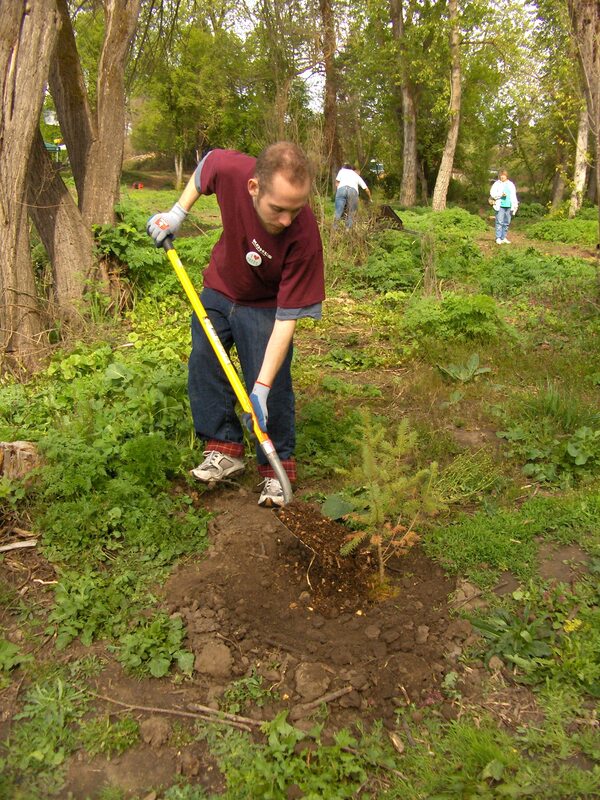 Volunteers from Kohl’s Planting native trees along Bear Creek in Medford. The City of Medford is the largest City in Rogue Valley with its urban growth boundary extending approximately 28 square miles. While Bear Creek is the largest water way that runs through Medford, there are numerous other tributaries that are vital to the abundant wildlife and vegetation in the city. Lone Pine, Lazy, Larson, Gore, Hansen, Crooked, and Little Elk Creek all play an important part in providing Medford with a vast and desirable habitat for different species of fish and wildlife. Our vision at the Public Works Department is to create, conserve, and maintain our native vegetation and wildlife areas. One of the most important ways to keep our streams and creeks clean is through education of the public on the City’s storm sewer system. By everyone using Best Management Practices (BMPs), we will have a direct increase in quality of our water. The Public Works Department is actively working to obtain this goal through our Storm Water Management Program (SWMP), as well as complying with the Total Maximum Daily Load (TMDL) requirements. Through the education process of residents becoming more aware of ways that clean water affects us all, this goal can become a reality.